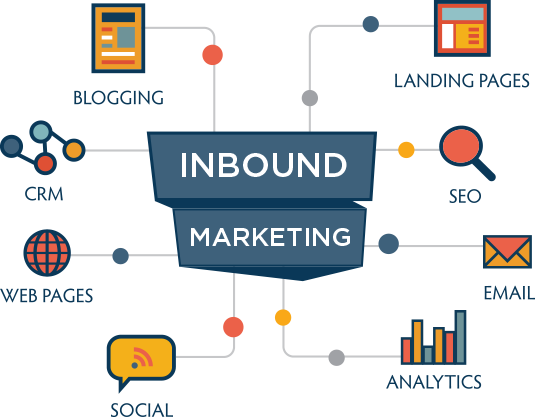 Inbound marketing is the promotion of the company in blogs, podcasts, videos, e-books, SEO, social media and through other forms of content marketing. One of the main features of inbound marketing is the absence of pressure on the consumer. The main thing is to provide the target audience with information that will be attractive to them. Interesting news, useful video, the right information attracts visitors and makes them loyal to the product. If the company provides useful content for free, this stimulates the potential buyer to "thank the company" with the good attitude and by buying something. Social media. It enhances the impact of your content. When the content is distributed and discussed in the networks of personal contacts, it becomes more authentic, acquires various shades and is more likely to attract qualified customers to your site. Economical efficiency. Lower cost of use compared with traditional methods of advertising. Opportunity to work with narrow target audiences. You can take into account the detailed characteristics of your target audience and create more attractive materials for it. Long-term results. If you invest in creating quality content, then it will work for attracting visitors enough, regardless of the current costs of advertising. Raising brand recognition. Using brand constants in the design of content, you increase the recognition of your corporate style. So, the main secret of the success of inbound marketing is valuable materials for the customers. Also searched with "Inbound marketing"
Rate this article about "Inbound marketing"
If you are interested in "Inbound marketing" you might be interested in our bulk email service.